Once you get an understanding of the reasons of a player not performing up to expectations, you realize how debilitating an effect certain illnesses can have on an athlete. In the case of Sickle Cell Disease, something of which I knew nothing until last year, I realize now the real problems that RB Tevin Coleman, DT Geno Atkins and WR John Brown have coping with the ailment. Tevin Coleman had prepared to pull out of the Denver Broncos game in Week 5 last season because of the altitude at Mile High Stadium. Simply put, you have less oxygen for the “good” red blood cells at high altitudes against those cells with a “sickle” trait. Starving red blood cells of oxygen can be fatal especially when pressed in the exertion of sports. Those who had Tevin Coleman in their fantasy rosters at the time were unsure he could be startable on that particular week because of these concerns. 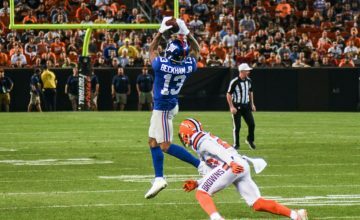 It turned out more than okay and Coleman had great fantasy stats on the day – rushing for 31 yards on six carries plus 132 yards on four receptions with a touchdown. With an oxygen tank handy on the sidelines, Coleman was well able to perform without any ill effects. Nevertheless, when out on the field with a mouthguard on, natural breathing with that impediment means a player should observe caution. For John “Smokey” Brown, it wasn’t just the sickle-cell issue that led to an under-par season in 2016. 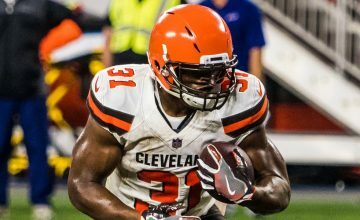 Yes, he dealt with hamstring issues, but something else was still not right with Brown after his treatment for sickle-cell. The doctors discovered he had a growing cyst on his spine. Smokey didn’t know it, but this coupled with the sickle-cell trait was draining all his energy as his good cells were feeding the cystic tumor. Since having surgery to remove the cyst, Smokey Brown looks like a brand new guy. 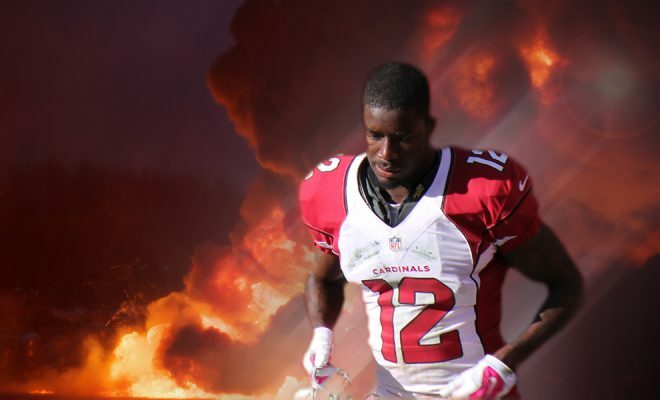 With all this good news, the fantasy arrows firmly point up for John Brown in the coming season. With the betting money on Larry Fitzgerald closing out a Hall of Fame career after 2017, a new pecking order will come into focus in Arizona as we move through the new campaign. I have nothing but sheer admiration of the depth the Cardinals have maintained at wide receiver in recent years. In 2017, they have loaded it up again. John Brown has to be at the front of the pack, but there’s just too much good company to be altogether certain. Jaron Brown and JJ Nelson are a very talented pair and although Jaron Brown is coming off an ACL, he looks to be solidly in the mix. 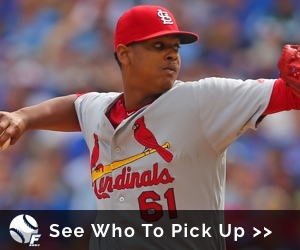 A couple of interesting outside candidates for strong fantasy consideration cannot be overlooked. Chad Williams is a ready-made dynasty package. Andre Ellington moves to the wide receiver position meaning his place in the slot could catch us all by surprise. 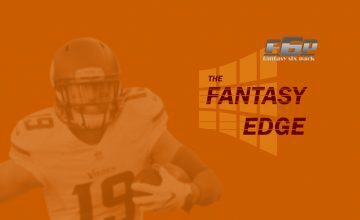 If so, after two seasons of fantasy wilderness and lost potential, Ellington would be the most unlikely sleeper to reawaken that there ever was. Given all this talent on the Arizona offense, it’s no wonder fantasy enthusiasts dive on the Cardinals when it comes time to put their draft targets together. John Brown is prepared to be that main set piece after David Johnson and should be high on your target list for 2017.